A man who was about to start a new job was stricken with a significant illness that required a period of hospitalization. The new job was required to go to another applicant, as the prospective employer needed someone immediately for that position. The man fell behind on his rent with no income but was able to secure another job after recovering from his illness. Here to Help was able to assist on his back rent and he was able to avoid eviction. A woman in her early sixties was struggling to make ends meet as though she was working three jobs her son had been murdered recently and she’d missed time at work. She’d fallen behind in her rent and would be able to pay rent on a go forward basis but needed some help getting caught up. Here to Help was able to provide assistance and she was able to remain in her apartment of the past 14 years. A young man was diagnosed with Multiple Sclerosis and was initially utilizing a walker, had trouble with blurred vision and lost bladder control. After a period of treatment his condition improved and he able to return to the work force. He secured two part time jobs and was in need of transportation to be able to timely and consistently get to his jobs. Here to Help was able to assist with a used vehicle and he was also able to pick up more hours at one of his jobs so that it became a full time position. He was able to be independent of any governmental assistance and was self-supportive with his employment. A young man was living in a shelter and during that time was able to obtain his Certified Nursing Assistant degree through a local college. He secured employment working the night shift at a nursing home. He also obtained housing but could not afford basic furniture for his apartment. We were able to assist with his need for furniture and he was able to support himself through his employment. A man had recently been released from prison and was part of the Michigan Prisoner Reentry Initiative. He received education and training for a trade and was able to secure employment. He was in need of assistance with first month's rent and a security deposit for an apartment. Here to Help was able to provide assistance and he was able to continue moving forward. A woman became unemployed due to the company she worked for going out of business. Eventually her unemployment benefits expired and she had been unable to secure full time work. She fell behind in her bills before she was eventually able to obtain a full time job. She received some assistance from DHS for her past due utility bills but she was facing an eviction from her residence. Here to Help was able to assist with her past due rent and enable her to avoid eviction and she was able to continue to move forward with the income from her job and pay all her monthly obligations. A young man was diagnosed with multiple sclerosis and began using a walker, while also having trouble with blurred vision and incontinence. After a period of treatment his condition improved and he able to return to the work force. He secured two part time jobs and was in need of transportation to be able to timely get to his jobs. Here to Help was able to assist with a used vehicle and he was also able to pick up more hours at one of his jobs so that it became a full time position. He was able to be independent and self-supportive with his employment. A woman was required to undergo an emergency medical procedure and missed time from work while she was recovering. Her medical leave was unpaid and, for the first time, she fell behind in her rent. Before she was healthy enough to return to work, she received an eviction notice. She became healthy enough to return to work and was thereafter able to pay rent on a timely basis and remain moving forward. Here to Help was able to pay the arrearage to prevent her from becoming homeless. A young man had experienced a very difficult childhood and had been homeless for a period of time. He was living in a shelter and learning a trade and was able to secure a housing voucher and move into his own residence. He had no furniture and was sleeping on his floor. Here to Help was able to provide him a bed, kitchen table, chairs, lamps and couch. A man, who was a college graduate and had been working full time for many years, was laid off from his job and was unable to find another job before his unemployment benefits ran out. He was unable to pay the mortgage on his home, which eventually went into foreclosure. He became homeless and sought assistance at a local shelter. He then secured employment and saved some money to contribute towards the first month's rent and security deposit on an apartment. We were able to assist on the remainder of the rent and the full payment for the security deposit. He was able to move from the shelter and finally become self-supporting and independent again. A woman had been employed prior to being diagnosed with and treated for cancer. She was paying her bills with child support payments but ran into difficulty in paying a month's rent and was evicted from her apartment. She suffered from neuropathy of her hands and feet due to her chemotherapy treatment and was awaiting approval of disability benefits. She found another residence for her and her children and was able to obtain assistance from family members for the first month's rent but could not afford the security deposit. Here to Help was able to assist with the security deposit as she was approved for disability payments, allowing her to be self-sufficient in moving forward. A woman was battling cancer and had to retire from her job as a Detroit public school teacher. She was approved for disability payments but they would not begin for two more months and she was in danger of both losing her vehicle. 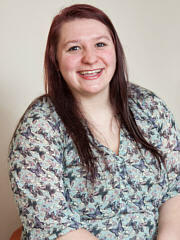 Here to Help was able to assist with her arrearage on her car payments and pay for the ensuing two months of payments. She was thus able to remain independent until the next month when her disability payments began and she would remain self-sufficient thereafter. A middle-aged woman was struggling to make ends meet as she worked at a minimum wage position. After her monthly bills were paid, there was nothing remaining for savings. She incurred an unanticipated car repair bill and after paying the bill she could not afford her full monthly rent. Here to Help was able to provide the necessary assistance to her with her rent (after determining that the car was in very good condition for the foreseeable future). A man had been homeless for over 10 years and was eventually able to secure a subsidized apartment but did not have the ability to purchase furniture. 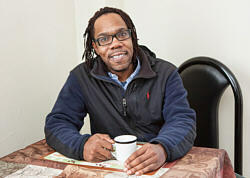 Here to Help was able to assist with a bed, couch and kitchen table and he was entered in to a training program as he worked towards being able to secure a skilled job and obtain self-sufficiency. A young woman who had a very difficult childhood, including many periods of homelessness, was able to graduate from high school and obtain a job. She didn’t have the funds necessary to obtain the required uniform for her job and Here to Help was able to assist her with obtaining the uniform and she became a very successful and productive employee at her job. A man had been homeless for over two years after losing his job and ultimately no longer able to afford his residence. He lived either on the streets or in shelters until his time at the latter had elapsed and he needed to move on. He was able to obtain a housing voucher to assist with his rent and utilities. He moved into an apartment but for three months he had no furniture at all as he slept on the floor. He sought assistance from Here to Help for furniture and we were able to supply a bed, dining room table, lamps and a couch and he was also able to ultimately secure a job. A woman had fled a domestic violence situation and was staying with her friend when the family of her abuser smashed all the windows and the windshield on her vehicle. She was unable to use the vehicle to get to work and could not afford to replace the broken glass. Here to Help was able to assist in getting her car repaired and she could use her wages to go towards her first month's rent and security deposit at the new residence she was able to locate. A single mother was forced into a homeless shelter when the house she was renting became engulfed in a fire and her family's belongings were lost in the blaze. She was able to maintain her job and save money for rent at an apartment but needed beds and dressers for her children. Here to Help was able to provide the required assistance and she was able to move into another residence and provide for her children. A disabled woman had been living in a shelter and, through the assistance of a local organization, was able to secure subsidized housing. She was in need of basic furniture for her new residence and we were able to provide that assistance for her. An individual had a disability including major depression, a history of substance abuse as well as diabetes, hypertension and had amputation of some of his fingers. He had completely turned his life around from a homeless individual with a substance abuse issue to one who had obtained an Associates Degree in Pre-Social work and then began a Social Work Bachelor's Degree program, while working part time. His car needed repair so he could continue to maintain his schooling and Here to Help provided assistance for this repair. A man had been employed for many years as a waiter at the same restaurant but then experienced a decrease in his hours for a period of time and also was required to miss work due to a medical condition. His full time hours at the restaurant were eventually restored but he had fallen behind in his rent. He was extremely diligent in providing his landlord with his tip money each night in the effort to reduce his back rent. However, he needed to take care of his past due rent or incur eviction. We confirmed with his employer that his hours were not going to be reduced in the foreseeable future and we then paid his back rent. A young single mother laid off from her job around the same time that the house she was renting was placed into foreclosure due to the owner/landlord not paying property taxes on the home. She was forced to find another place in a hurry for her and her children and did not have adequate funding for a security deposit and first month's rent. She was receiving unemployment benefits while she searched for a new job and Here to Help was able to assist with her moving expenses and she was able to continue forward and she ultimately found another job. A young woman was in community college and had been living with her father in an apartment but he passed away unexpectedly. She was having difficulty making the rent payment but received an increase in hours at her employment that would enable her to earn enough money to afford her rent. However, she had fallen behind in rent and was facing eviction. Here to Help was able to provide the money for the back rent and she was able to maintain the apartment and keep moving forward. She was able to continue her schooling and maintain her full time job and timely pay her rent. A woman was residing in a homeless shelter and was able to secure employment working the midnight shift as a janitor at an office building. She was utilizing public transportation and the busses were often unreliable, causing her to be late for her job. She was saving money to obtain housing and needed a vehicle to assist her getting to her job on time and not putting her employment in jeopardy. Here to Help was able to supply a used vehicle. She was able to maintain her employment and was able to ultimately move out of the shelter and into her own residence. A young woman and mother of a two-year-old child had been the victim of domestic violence over the course of many years and was finally going through with a divorce. She left behind her house and personal property as she tried to end the relationship as quickly as possible and was literally starting from scratch as the divorce became finalized. She was working part time during the marriage but needed to return to full time employment. She had to turn in her leased vehicle as part of the divorce decree and she needed transportation to her full time job so that she could continue to provide for herself and her daughter. Here to Help was able to assist her with a used vehicle and she was able to afford a security deposit and first month's rent on an apartment. She was able to continue forward with her new life and remain independent and support herself and her young daughter. A young man had experienced some difficulty with the law in the past but had changed his lifestyle and was now employed on a full time basis and working at Eastern Market at 5:00am. He needed assistance with transportation so he could get to and from his job. Here to Help was able to assist him with a used vehicle and he would be able to pay for car insurance etc. through his wages. The vehicle was also of assistance to him as he secured side jobs to further supplement his income. A woman had been battling breast cancer and during that time had missed time from work and had fallen behind on many of her bills. Her savings was depleted in paying off her utility bill and car insurance and she had been fallen behind in her rent and faced an eviction. She was about to return to work and Here to Help was able to assist in paying her back rent and enabling her to avoid eviction. Her employment resumed and she was able to be self-sufficient. A middle-aged man had previously been self sufficient and employed for over 30 years. His spiraling situation began when he lost his job and fell behind in his bills and ultimately found himself homeless and living in a shelter. He was able to secure employment but was experiencing difficulty with his vehicle, which needed repair. Here to Help was able to provide assistance in getting the car repaired and he was able to continue with his new job, save money and move from the shelter and resume being self-sufficient. A young woman grew up in a very difficult environment with a mother who was addicted to drugs and no father in her life. She eventually dropped out of high school and became homeless. She entered a shelter program after many years on the streets and was able to secure a housing voucher to pay rent for an apartment. She completed her GED and then secured a job. She lived for many months in her new apartment without any furniture. Here to Help was able to assist with a bed, couch, kitchen table/chairs, lamps and a coffee table. A woman fled a domestic violence situation and received treatment at a hospital before beginning to reside in a motel. Her abuser threw all her belongings away and she had nothing but the clothes on her back. She received governmental assistance for disability and would be able to maintain the cost of rent. She was able to find a rental unit within her price range but did not have adequate funding to pay all of the first and last month's rent and the security deposit. Here to Help was able to assist her with our maximum amount towards rent and she was able to pay the security deposit, move in and begin the process of rebuilding her life. A husband and wife were struggling were struggling to get caught up on their bills as they had fallen behind when he was laid off from his job and her time was devoted to finishing her degree in medical billing and caring for their physically and mentally challenged daughter. He was able to secure a full time job but they were facing eviction due to their rent being behind. Here to Help was able to pay the back rent and they were able to continue forward and timely pay their rent in subsequent months through his income (which would eventually be supplemented with her income when she finished her degree and obtained employment). A woman who had been a foster child and was now attending community college had been able to secure part time employment working for a catering company. She did not have the necessary money to purchase the required uniform and shoes for the job and we were able to assist her in that capacity. A man had just been laid off from his job and while awaiting his unemployment compensation to begin he fell behind in his utility payments and his gas was shut off. He contacted the utility company and was able to make arrangements to be placed on a manageable budget plan and his services would be restored if he were able to make a required payment along with the reconnect fee. We were able to assist with that amount and his gas was restored and he was able pay his monthly bills given that his unemployment benefits had begun. Eventually he found a new job and began employment. A woman became involved with drugs until the point that she was convicted of a drug-related crime and sentenced to prison. She was ultimately released from prison and participated with a local non-profit's re-entry into society program. She completed everything required and was able to secure a job but needed assistance getting to and from work. She had saved some money of her own and was able to contribute towards the purchase of a vehicle. 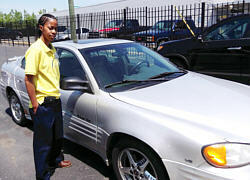 Here to Help was able to assist her in obtaining a vehicle and she was able to continue moving forward with her life. A young married couple encountered unexpected hardship when the husband came down with a debilitating illness that left him unable to work and in an extremely weakened condition. He was able to eventually secure disability payments but she had missed significant time from her job due to his illness and they had fallen behind on their car payment and their vehicle was about to be repossessed. Here to Help was able to assist with the back payments and between her wages and his monthly disability payment they would be able to meet all their future monthly obligations. A married couple with three children was self-sufficient until he was laid off from his construction job of fourteen years. She also suffered a job loss when the individual she had been providing direct home care to suddenly passed away. They both were eventually able to secure new employment but had fallen behind on their rent. They had never been in arrears before and now faced eviction from the premises. We were able to provide the necessary assistance to get them caught up on their rent and they were able to continue forward. A man was a cook at a downtown restaurant. His mother had recently passed away and given that he was the only working member of his family the cost associated with funeral expenses etc. fell on him. He subsequently needed car repairs on his vehicle as he needed reliable transportation to get to his job. His savings had been depleted due to the funeral expenses and Here to Help was able to assist him with the car repair and enable him to maintain his employment. A man was employed with a local non-profit and his wife became ill and no longer able to work at her job. Between caring for her and the absence of her wages in contributing towards the monthly household bills, the family fell behind in their rent and was threatened with eviction. Here to Help was able to assist with the back rent and the family was able to continue forward as his wife was going to be able to return to work and between their two respective incomes they would be able to meet their monthly obligations. A woman had recently been released from prison and was making all efforts to reunite with her children. She was able to obtain a full time job and began employment but was without a vehicle and was forced to rely on friends and the bus system. She needed a car of her own that would not only assist her in getting to and from her employment but would also allow her greater opportunities at work. Here to Help was able to assist her with a used vehicle and she was able to continue with her job, gain custody of her children and remain independent. A single father had been working full time but his hours were cut back and he began to fall behind on his bills. He was able to secure another part time position that would enable him to work both jobs and be able to support his family. He needed assistance with his past due utility bill as he was facing a shut off notice and he wouldn't get paid at his new job for two more weeks. Here to Help was able to assist and he was able to continue to support his family and remain independent. A young woman was working full time and going to night school. She relied on her mother for transportation but her mother suffered a stroke and was then unable to drive. At around the same time her mother’s car needed repairs but the cost of repair exceeded the value of the very old car. Here to Help was able to assist the young woman with a used vehicle, which allowed her to continue her employment and her schooling as well as to transport her mother to her doctor appointments. A single mother and her son were the victims of a home invasion and assault. Due to the violent nature of the assault and the threat that was made, she needed to move her family from their home of over 10 years. She was employed but had missed time for work as a result of the assault. She was eventually able to save money for a down payment on a mobile home but she did not have the funding for a security deposit. Here to Help was able to pay for the security deposit and she could move in and rebuild her life. A young man missed time from his job due to caring for his mother who was dying of cancer. She subsequently passed away but he had fallen behind on his utility bill as his income was diminished during the time he missed hours at his job while caring for his mother. Here to Help was able to assist him on his utility bill and avoid a shut off. A man who was a disabled war veteran had become homeless due to a drug addiction causing his life to spiral out of control. He was able to get the required assistance necessary to overcome his addiction and he secured subsidized housing. He was able to move into his apartment and he began doing community work in the area of drug counseling and was also returning to school to receive a degree in counseling. He did not have the funds to afford furniture for his apartment and Here to Help was able to assist him with the basic needs of a bed, couch, dresser and kitchen table. A young woman was laid off from her job and during that time was forced to give up her leased vehicle, as she could no longer maintain the payments. She was able to eventually secure a job and began employment and with the assistance of friends and family she was able to get to and from work. She was in desperate need of a vehicle, as her new job would eventually require her to travel in her own vehicle. Here to Help was able to assist her in obtaining a vehicle and she was able to remain self-sufficient. A man was living at a local shelter and moving towards enrolling in community college. To do so he needed particular documents (birth certificate, valid state identification) that he did not possess. He did not have the income to pay for the obtaining of these documents and we were able to provide the necessary assistance to enable to continue forward on his path back to school etc. A young man had been laid off from his job after two years of employment. During the time he was receiving unemployment benefits he began a training program in Weatherization. Upon completing the program he was able to secure employment but needed a vehicle to be able to travel from one job site to another and to and from work. Here to Help was able to assist with the purchase of a used vehicle and he was able to pay his bills through his wages and remain self-sufficient.